Since its inception in 2007 AFour has been assisting technology / product startup organizations in interesting areas such as eCommerce, Storage, Networking, IoT, Corporate Governance, Healthcare, Social Networking Applications and many interesting new product / technology domains. While working with product / technology startup organizations, we realized that there are certain areas where product organizations need to keep watch in order to retain the momentum and market leadership built with their niche product / technology ideas. From the outset,a major potion of our customer base has been product / technology startup organizations and hence our DNA is startup oriented. We believe in lightweight product engineering methodologies with strong focus on rapid collaboration. At the same time, we understand the value of client intellectual property and we take strong measures in protecting that. We are an ISMS ISO27001:2013 certified organization. Addressing these areas may not be a rocket science, however since the core team in the Client organization is focused on getting things right, we assist them in addressing specific requirements in the following complementary areas. e.g. As a CXO, are you..
Not happy with user experience (UX)..? We shall assist you in making the UX a lot friendlier. Not happy with the product UI richness…? We shall assist you in making the UI responsive and more attractive. Not happy with the product quality…? Even demo level product is failing. We shall assist you in getting the right quality releases in a consistent manner. Not happy about the UI compatibility aspect of the product…? We shall assist you in verifying your product UI and the rest of the functionality on a wide range of physical devices. Not happy with efficiency of release management, deployments…? 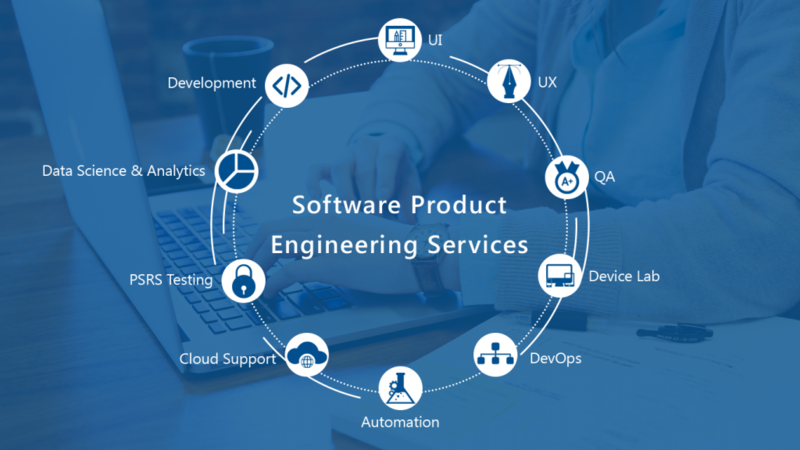 We shall assist you in planning the release, automated verification and the entire DevOps cycle. Not happy with ROI in product quality…? We shall assist you in optimizing the cost of quality through effective test automation and better test coverage. Looking for the right hosting environment…? We shall assist you in choosing the right hosting environment – OpenStack / AWS / Azure and assist you in deploying or migrating your solution in the environment. Looking for assistance in non-functional testing…? We shall assist you in verification of Performance / Scalability / Reliability / Security parameters of your product. Trying to make sense of the data being churned from your system…? We shall assist you in modelling, predicting and forecasting of data with the help of our in-house Data Science team. Conceptualizing & ideating user centered interfaces. Simplifying complex rich web applications. Product/Usability analysis for smoother user-product interaction & to convert traffic into customers. Producing bespoke & custom tailored assets. Excellent graphic designing skills to complement friendly user experience. Creating brand identities for products and making them memorable. Proficiency in using security testing tools like: Fiddler / Burp Proxy / Wireshark for request-response analysis IBM AppScan, Burp Scanner, Zed Attack Proxy (ZAP), Firefox addons (like, XSS Me, SQL Inject Me, etc. ), JMeter for DoS and DDoS Attacks.